Also Known as The City of Lakes, Bhopal Get The Name From It's Earliest Man-Made Lake - Bhojtal. Known as the ‘City of Lakes’, Bhopal is the capital city of Madhya Pradesh. Founded by Raja Bhoja around the 11th-century, the city gained prominence after the raja constructed the earlier man-made lake in India known as Bhojtal. Bhopal has a rich Nawabi charm; it boasts of a reputation of being governed by four generations of Begums, under whose reign the city acquired its infrastructural and architectural reputation. Though Bhopal has a history that dates all the way back to the pre-civilisation era, it is also a city that is still healing from the scars of the worst industrial disaster. However, it’s worth a visit, even if it’s just for two days. Here’s what you must put on the itinerary when in the city. Start your first day by visiting Sanchi – one of the oldest stone structures of India. The Great Stupa of Sanchi was constructed during the rule of Emperor Ashoka. Located about 46km north-east of Bhopal, the stupa was constructed with the intention of spreading Buddhism. En route from Bhopal to this UNESCO World Heritage Site, you will cross the Tropic of Cancer. 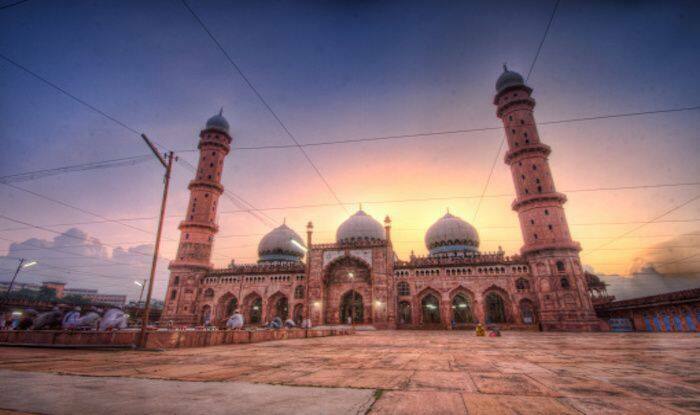 You must then visit Chowk Bazaar; explore the Jama Masjid here that was constructed in 1837 by Begum Qudsia (that took 24 years to be completed). The golden spikes in the minarets are not to be missed. There’s also Moti Masjid in the vicinity which was constructed by Begum Qudsia’s daughter, Sikandar Jahan Begum in 1860 and looks like the replica of Jama Masjid in New Delhi with its gold-topped minarets. Last but not the least, visit Taj Ul Masjid – probably one of the largest mosques in Asia, spread a little over 23,000 square feet. It’s a regal monument with its pink façade, intricate carvings on the pillars and ceiling, the expansive courtyard and smooth marble flooring. But it is the 18 storey high minarets that are the most breath-taking feature of the mosque. Chowk Bazaar also provides direct access to shops that throng around the mosques and havelis that are a beautiful blend of both Hindu and Islamic architecture in the city. The shops have everything from traditional arts and crafts, silver jewellery, embroidered stuff and beadwork. The street food there too is definitely worth a try. Another interesting place for you to visit is the Bhojpur Temple – an incomplete temple dating back to the 11th-century. Even though it’s incomplete, it known as Somnath of the East. The carvings on it are intricate and it is located on the banks of River Betwa. The temple is dedicated to Lord Shiva.